The lease market remains very active in the Hollywood Hills, and homes that are not selling are being leased out as investment properties until sales pick up. This is good news for those looking to lease luxury homes in the Hollywood Hills because there are a good number of properties to choose from, in a variety of interesting architectural styles. Lease rates in the Hollywood Hills can vary from about $3,000 per month for smaller properties to $10,000 and up for luxury properties in areas above the Sunset Strip and in the hills towards Mulholland Drive. Some of the more desirable areas of the Hollywood Hills include Sunset Plaza, the “bird” streets, Wonderland school district, Laurel Hills, and Mount Olympus. In addition to great views, the entire Hollywood Hills area of Los Angeles is close to world-class restaurants, shopping, nightlife, Beverly Hills, Century City, Hollywood and the San Fernando Valley. Listed below are homes and estates currently for lease in the Hollywood Hills, CA. If you would like more information on any of these properties, please give me a call at (310) 717-2232 or you can leave your contact information on my contact form and i’ll get back to you within 24 hours. 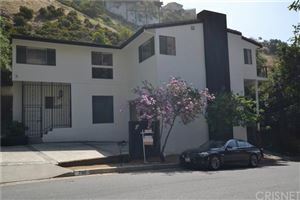 See all Hollywood Hills Homes For Lease - West of Laurel Canyon. See all Hollywood Hills Homes For Lease - East of Laurel Canyon.